Incorporate glazed frames into your kitchen and show off your most treasured items. 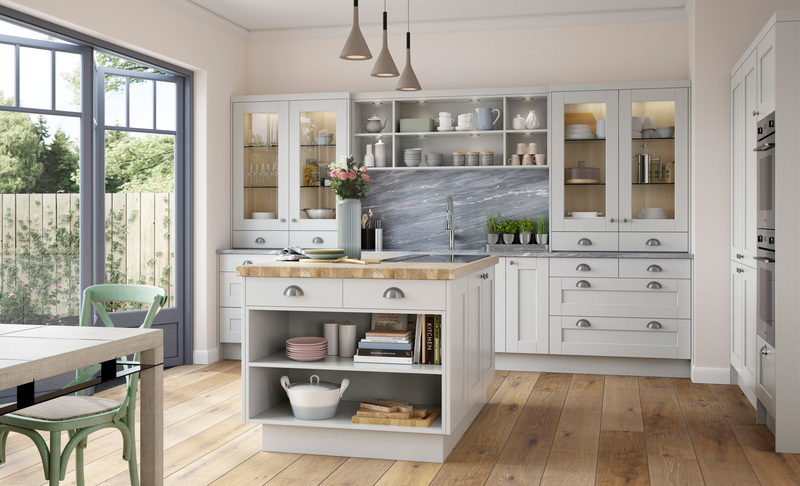 Open shelving gives an interesting dimension to the design as shown here in the Kensington range. An island can create a real focal point to your kitchen. Open shelving and drawers can act as practical storage solutions too as shown here.